HBO's adaptation of Elena Ferrante's novels elevates oft-ignored stories, but lacks enough artistic insight to hit home. “My Brilliant Friend” is exactly the kind of story TV needs to explore, but it’s told in a way that ensures fewer will be made. Focusing on a deeply relatable friendship between two girls in 1950s Italy, the eight-part HBO adaptation digs into the personal observations of characters typically marginalized in stories of the era. The girls are the leads and their friendship forms the journey; boys, men, and their affairs are pushed to the periphery. While the series captures dynamics of adoration and jealousy that rarely have the spotlight, director and writer Saver Costanzo, as well as fellow writers Francesco Piccolo and Laura Paolucci, fail to translate Elena Ferrante’s bestselling, four-novel franchise into an enthralling onscreen experience. Faithful to a fault, much of the impact is lost in translation. Narration becomes a crutch, direction is bland, and pacing is sluggish. Frustrations like these will likely turn off viewers before they can appreciate the vivid subjects. 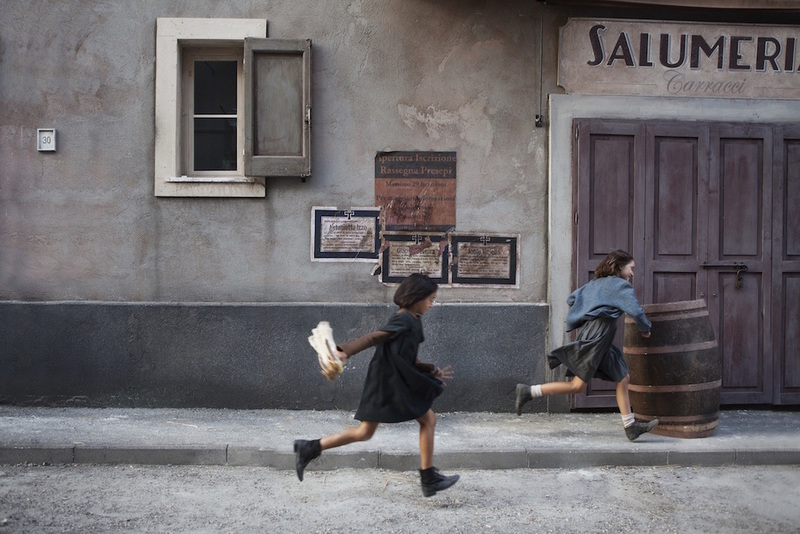 “My Brilliant Friend” is a story in need of urgency, but it’s subservient to the written word, offering Ferrante’s thoughts to bluntly explain what couldn’t be otherwise evoked. Even the structure of the novel is preserved, as the series opens in the present day and uses Elena Greco’s adult writing to frame her childhood memories of a story she promised she’d never tell. She starts in the first grade, when Elena (played first by Elisa Del Genio) meets Lila (Ludovica Nasti). Though Elena is smart and studious, Lila is brilliant and gifted. Elena buries herself in books in order to be the best of the best, while Lila has taught herself beyond the grade she’s assigned. The two quickly develop a tender friendship based in competition. Elena is fascinated by Lila’s prodigious ability to learn as much as her knowledge. She has street smarts that Elena is slow to grasp, despite growing up in the same neighborhood and in a similar economic class. Trapped within a fishbowl of a tiny town outside Naples, Elena and Lila navigate the violent streets together. Dozens of characters pop up in the first episode, making it hard to track who’s who. Some disappear before they can an impact, while others stick around to reinforce the early assumptions of their childhood selves. Class commentary forges many characters’ identities. Lila’s brother, Rino, is driven mad by what the ruling family does to his working father and the desire to run them out of town drives him to success. Both girls’ parents are skeptical of education, especially when middle school and high school charge hefty prices. (New actors step in after Episode 2, to note the advancement of years.) So entrenched in their way of life, they’re jealous of their children’s intelligence and the opportunities they’re offered. Fathers hit their daughters (or worse) when they see someone who could grow up to be more than they are, a distinctly appalling notion for American viewers who were raised believing parents should want better lives for their children. Throughout, Elena and Lila are largely passive. They make what choices they can, but the series is careful to frame those decisions through the consequences imposed by others. (Much is done in secret, so as not to anger their parents and lose what little independence they have.) Season 1 is a formative story, and universal because of it. These are the daughters’ whose lives are prioritized behind their brothers’, and the quiet kids in class who learn through silent observation. The world around them is filled with corruption, murder, and betrayal, but the plot hinges on their perseverance through education and friendship. It’s like watching “The Godfather,” but instead of focusing on Michael’s continued corruption, “My Brilliant Friend” dials in on how his daughter might have saved herself. While mainstream audiences may be drawn toward the visceral excitement in mafia stories, bildungsromans can make for wildly popular and deeply rewarding series. Just look at “Little Women,” an all-time classic successfully adapted for television as recently as this year, as well as a novel name-checked in the second episode of “My Brilliant Friend.” Elena and Lila purchase the novel with plans to learn its secrets and replicate its success. It’s a shame those making this series weren’t as inspired as their subjects. HBO’s adaptation should suffice for readers familiar enough with the characters to project their own previous interpretations, but it’s a drab six episodes for newcomers. (No fault to the costume or production design, who distinguish multiple personalities and insular worlds despite working with aptly plain materials.) So many individual pieces are intriguing, and some even prove rewarding over hours of consideration. Still, even the most introspective series doesn’t need to be such a slog. “My Brilliant Friend” premieres Sunday, November 18 at 9 p.m. on HBO.